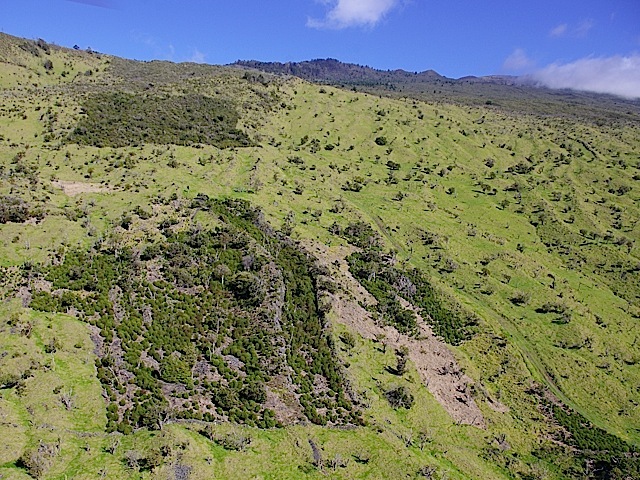 Next is Auwahi III—a 184-acre exclosure at ʻUlupalakua Ranch … Maui Restoration Group/LHWRP will be installing temporary fences and restoring it section by section, focusing first where there are native tree clusters and rare species. They’ll be needing lots of volunteers to help tackle this exciting task! 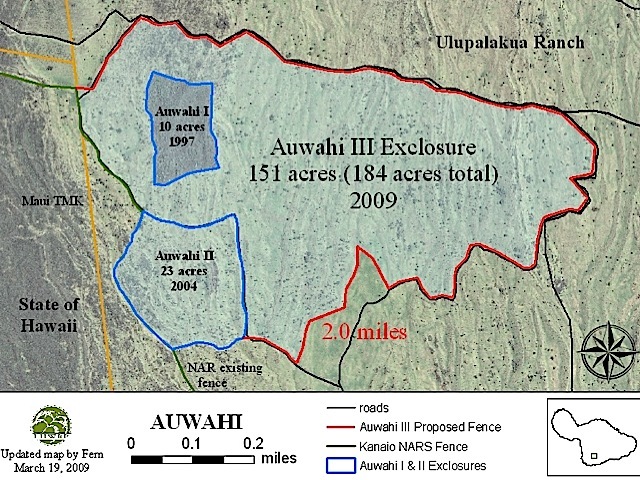 Visit www.auwahi.org to join in, or go to www.lhwrp.org to learn even more (such as about the 840-acre exclosure at Nuʻu Mauka and Kaupo Ranches, and the 5,200-acre fenceline in Kahikinui). Map of the 43,175-acre partnership and its landowners. Auwahi restoration as seen from the air.